Time for a new car? What are you planning on doing with your current vehicle? If the ride seems to have retained at least some value, there are two logical routes that you can take: trading-in the vehicle or selling it outright. Both of these options are accompanied by their own unique pros and cons, and it can be difficult determining which route is best for you. For those seeking the quick and easy route, trading in your vehicle is certainly the way to go. Most dealerships will be willing to give you some kind of value for the car, and you’ll be able to use this money towards one of the business’s newer rides. This can be the ideal strategy for those seeking some extra money to help with a down payment on a new car. You’ll surely get a chunk of change for your aging vehicle, and you may be able to work out a deal with a salesman that incentivizes you also buying one of their newer cars. If you are indeed seeking a new car, another financial incentive will come via a tax break. The majority of the states will only tax the difference between the new car’s price and the trade-in value of your soon-to-be former car. This could save you at least a couple hundred dollars, as you won’t be taxed on the full value of your new ride. Of course, you shouldn’t expect to receive as much money from the dealership as you would from, perhaps, a private buyer. Dealerships generally rely on wholesale values, although you’ll also have to account for vehicle’s condition and depreciation. 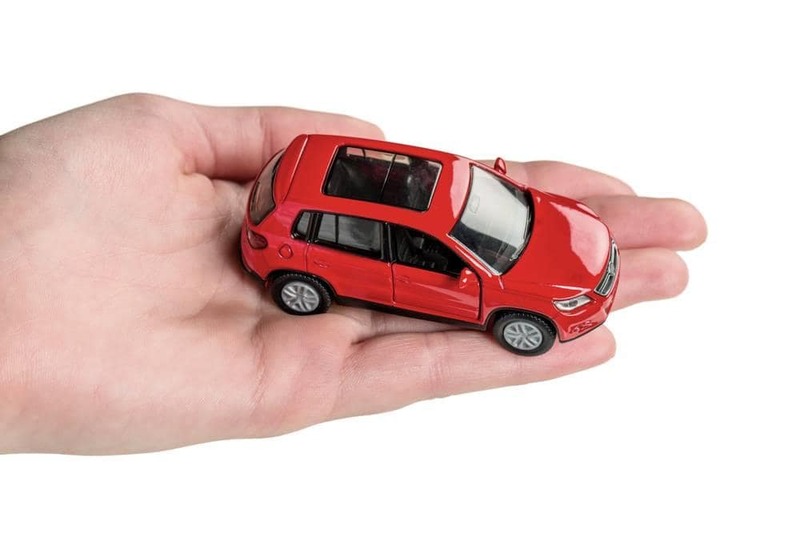 If your vehicle was previously involved in an accident, you can guarantee that a dealership will use that fact to give themselves another financial advantage. Additionally, you’ll be required to haggle with an experience salesman. This may intimidate some, but it’s all part of the process of trading in your ride. There are two real reasons why you would ever consider selling your vehicle over trading it in. If your desire to sell an older car is not motivated by your desire to purchase a new vehicle, then you simply might not want to deal with a dealership. Furthermore, if you’re seeking that extra bit of money, you may find that you’re able to secure a bit more value by selling your vehicle privately. Generally, customers aren’t particularly good at negotiating. If you’re in no rush to sell your vehicle, you can simply rebuff offers until you find your desired value. These customers will presumably be relying on the same selling guides that you’ll be looking at, but this value will still probably be a bit higher than what you could get from a dealership. Predictably, this also means that the seller will have to put forth considerably more effort. You’ll have to find an effective way of notifying prospective buyers that your vehicle is even on the market. This could come via online or newspaper advertisements, driving around with a “FOR SALE” sign on the vehicle, or word of mouth. After all, you can’t just expect the customers to magically appear. Furthermore, you’ll have to provide the buyer with many of the same services as a dealership. You’ll want to make yourself available at any time, which allows a customer to meet you and inspect the vehicle. The buyer will probably ask to give the car a test drive, so you’ll also have to accompany them on that trip. Dealing with strangers can be difficult, but it’s absolutely necessary if you want to sell your vehicle. If you do need a new vehicle, there’s the risk that you won’t sell your older car in enough time. This means you could potentially be paying car payments for two separate vehicles at once, and it’s unlikely that you’ll want to afford that monthly obligation. Therefore, if you do need a new ride, there’s a bit of urgency in selling your older car. Regardless of which route you decide to take, there are several steps you’ll want to follow before you commit to selling off your vehicle. For starters, it’s always clever to get a general idea of how much money you can expect to receive. If your asking price is far above the perceived value of your vehicle, you’ll be wasting your time by dealing with a dealership or private buyer. Furthermore, you don’t want to undervalue your vehicle, as you could be missing out on an extra chunk of change. You’ll also want to bring your older vehicle to a mechanic, or you can give the ride a simple checkup. You’ll want to confirm that all of the mechanics are working properly, as a small sound or vibration could cause a potential buyer to pause. By getting ahead of the issue, you can avoid the chance that the buyer will potentially devalue your ride. Of course, if the car does require a fix, determine whether the mechanic’s fee will be reflected in your ultimate asking price. We probably shouldn’t have to mention it, but similar to how your car’s mechanics should look good, so should your ride’s exterior and interior. Give your car a thorough car wash, as a flashy, sparkling product will look a lot more appealing to customers. Also vacuum your interior and pick up any trash, as a dirty cabin could inspire a negative impression. Both options benefit different types of sellers. However, since most sellers will presumably be looking to replace their sold car with a new car, opting to trade in the vehicle probably makes the most sense. In this case, visit DePaula Used Cars in Albany, New York, and the staff will work with you to determine a fair price for your vehicle.